The RXT Street Twin clutch kit is an ideal clutch for the extreme horsepower street enthusiast with an economically priced clutch kit that does not include a flywheel. Able to hold up to 1000hp, the extreme version of the RST clutch kit is for those who have kicked it up another notch and are still streetable. 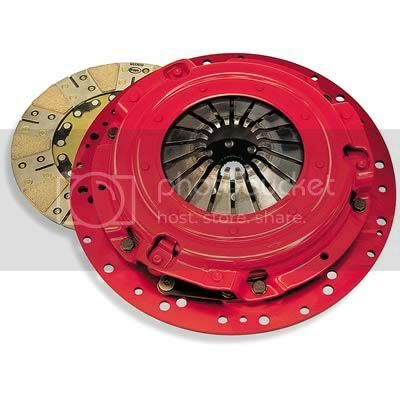 Ceramic facings on the clutch discs provide slightly aggressive engagement with a soft pedal effort will make this clutch suitable for most street performance enthusiast. Kit includes: Pressure Plate, two ceramic friction discs, floater plate, adapter ring & Aluminum Flywheel.